The Aegis system is central to NATO’s increased deployments in Europe that are intended to counter perceived threats. 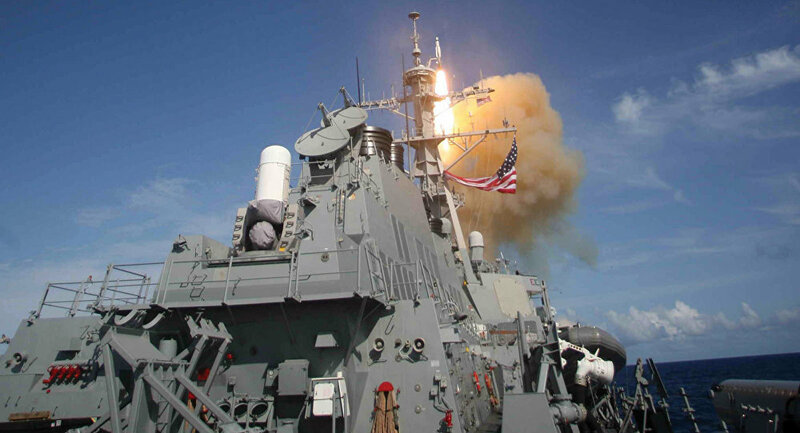 WASHINGTON (Sputnik) — The next generation of the Aegis combat system has intercepted a medium-range ballistic missile with an anti-missile rocket fired from a ship, the US defense contractor Lockheed Martin announced in a press release on Monday. "This exercise marked the first shipboard demonstration of the Aegis Baseline 9.2 (BMD 5.1) Ballistic Missile Defense (BMD) tracking and engagement capabilities against more complex threats with increased battle space in support of the U.S. Phased Adaptive Approach," the release stated. The latest Aegis upgrade reflects US efforts to protect Europe "from ballistic missile attack, the release explained." The Aegis system is central to the North Atlantic Treaty Organization’s increased deployments in Europe that are intended to counter perceived threats. The system is able to link a network of ships, airplanes and ground forces in a single system that can detect, track and destroy enemy targets, especially missiles, the release noted.